John Cena/Brock Lesnar – Cena and Lesnar is not exactly new, but it is exciting. Their previous feud was excellent and now, with Triple H’s plan C deal with Paul Heyman, it looks to be even better. Having the Authority behind him, Brock is even more entrenched as a heel and that is necessary for John Cena these days. When you put Cena against anyone else, he often gets booed. Against Lesnar, he may still get some heat but it should be more evened out. This should be a fun feud for SummerSlam 2014. Seth Rollins/Dean Ambrose – This is an epic feud just beginning to boil over. 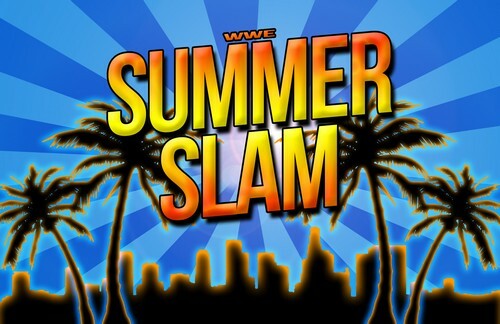 They have done a wonderful job of letting it slow burn for SummerSlam and though it is not officially a match on the card yet, it soon will be. It seems impossible that this feud would not be concluded on the big stage. The combination of hatred and in ring perfection that these two blend together when they clash is what pro wrestling was built upon. If you don’t get excited about watching Rollins and Ambrose clash, you probably are not a pro wrestling fan. Paige/AJ Lee – Again, this one is slow burning like a hot cauldron. Paige has just turned heel and has finally embraced her anti-diva attitude that made her so popular in developmental. A.J. has always wanted someone like Paige to play off of, and now she has someone that can match her intensity and storytelling abilities in the ring. Expect this to be the first Diva match in years to get major pushes in WWE. Chris Jericho/Bray Wyatt – Y2J is clearly here for this very feud and man, is it a good one. Bray Wyatt and Jericho work wonderfully together and spend plenty of time mapping out a powerful story. I hope that WWE keeps them apart for a nice, long build between now and SummerSlam. Their match at Battleground was a bit rushed and was not nearly as good as it could have been. If SummerSlam 2014 uses this feud to the fullest, it has every opportunity to steal the show. Stephanie McMahon/Nikki Bella – Just when I thought they had put this white hot interaction to bed, it explodes on Monday Night Raw with Stephanie McMahon being arrested for slapping Nikki. Though this is not an official feud for SummerSlam just yet, I fully expect it to be soon. As hot as the crowd was to see Nikki and Stephanie go at it, they almost have to put this feud together. Who knew that Nikki would ever get this much rub from the Daniel Bryan crowd? His reach is quite long these days in the WWE Universe.